Tree benches are so charming and inviting! 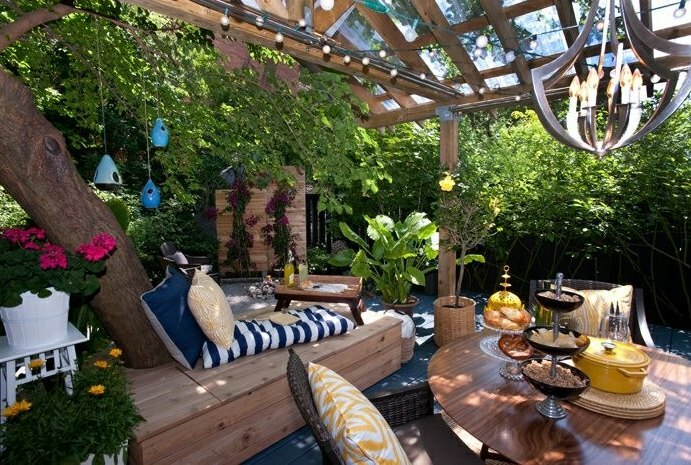 Just imagine sitting, relaxing, and enjoying a quiet reflective moment in a beautiful outdoor space! 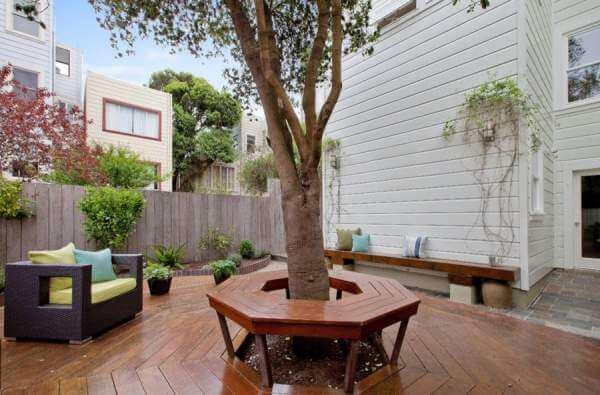 Utilizing a tree as a bench adds functionality, visual interest, and extra appeal to any outdoor space. 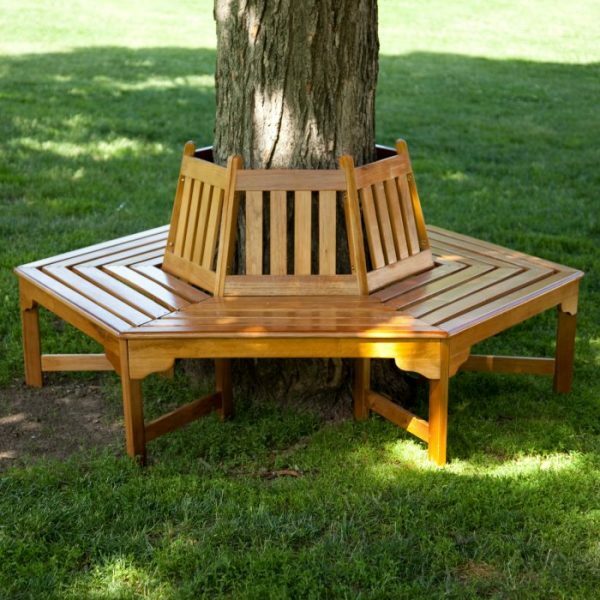 If you have trees in your backyard, definitely consider adding a bench. Then, you can either take a DIY approach or purchase a tree bench online and easily put it together once it’s conveniently shipped to your home. You can even go a step further and built a loungey tree bench to create a stunning outdoor space. Note that no tree is too skinny for a bench! As tree trunks are round, it makes sense that tree benches would be round as well! From simple yet functional benches to designs packed with personality, you have an array of options to choose from. Whether a bench with a handy back so you have a support to lean on or with an arm railing to designate a personal space, from fine redwood, cedar, or recycled wood options, tree benches add seating, visual interest, and personality to any outdoor space. However, if you don’t have trees, potted plants can also do the job! Just unleash your creativity and find an option that meets your seating needs with flair. Unquestionably, round is fabulous, but add some angles to get shapes that span the hexagon and beyond! Found on wooden decks, green lawns, and stone patios, tree benches wrap around trees, add color and visual interest, and instantly become focal points in the space. 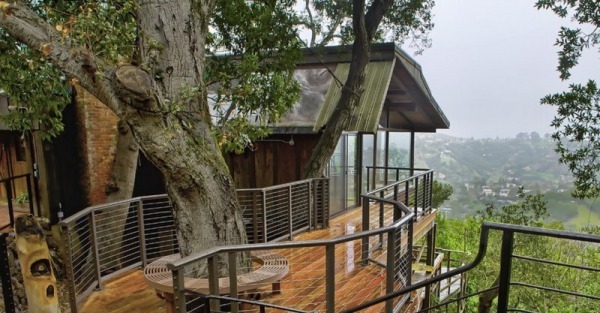 Want to lend your outdoors a unique look? Then, opt for an L-shaped bench. Half-circled and square bench designs are also appealing and visually interesting. If you choose the square option, go a step further and make the most of the space! 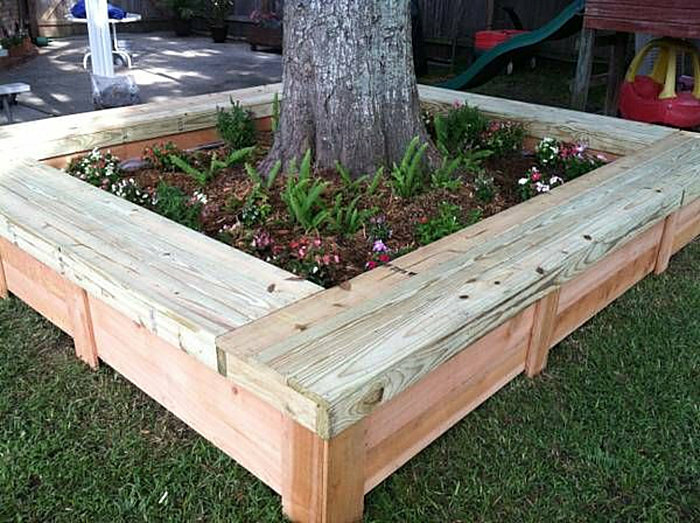 Leave an opening at the center of the bench and fill it with soil and mulch to create a flower bed. Beautiful, isn’t it? Plus, a planter and a bench definitely make an eye-grabbing combo! Have a look at the inviting patio in the picture above! 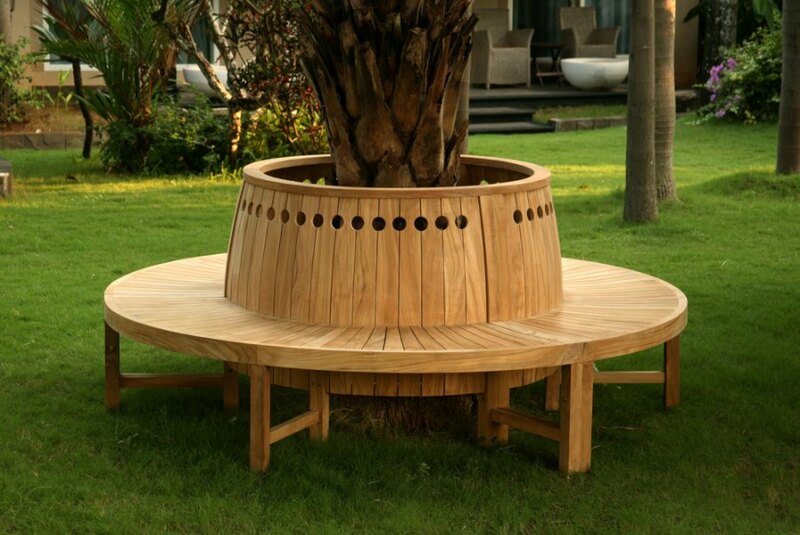 More like a deck lounger, this unusual tree bench grabs and keeps the eye. Comfy cushions add coziness, color, and style and complete the look of the space. Dreamy spot to relax! Comfy cushions add coziness, color, and style and complete the look of the space. Dreamy spot to relax! Definitely a dreamy spot to relax! 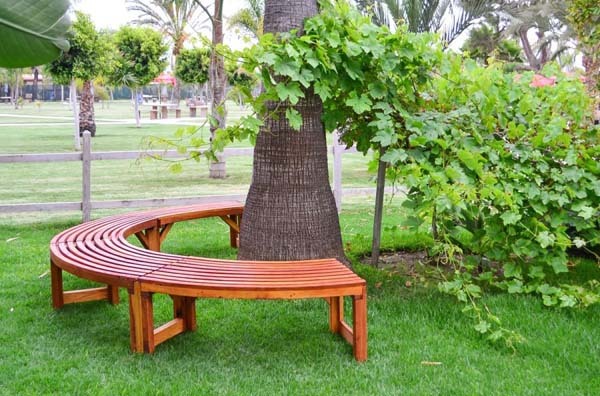 Are you ready to incorporate a tree bench in your outdoor space?